You wouldn’t know it by walking past or from reading the sign outside, but Chye Seng Huat Hardware brews some of the best coffee in Singapore. This retro-chic cafe roasts their own beans and has a coffee bar where you can sample their different blends and brewing methods as well as some delectable pastries. Seating is indoors or outside in the small courtyard. 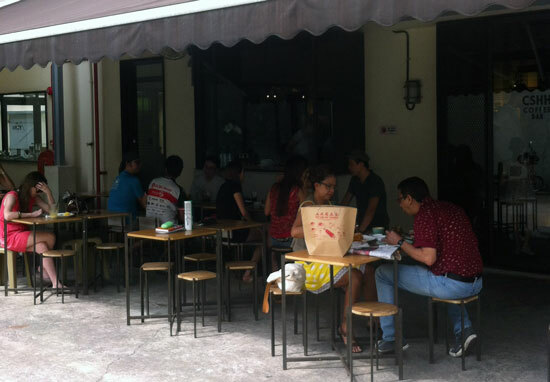 Chye Seng Huat Hardware is the flagship outlet of Papa Palheta specialty coffee (formerly located on Bukit Timah Road). The quirky name is an homage to the traditional trade of the neighbourhood, and you enter through a secret side gate with a “no parking” sign. Inside, the cafe has a minimalistic style with high ceilings, a U-shaped coffee bar and a handful of small tables perpetually occupied by hip 20-somethings tapping away at iDevices. Good enough to accompany the coffee. The coffee is served only in its purest form — espresso, espresso with milk, brewed coffee or the latest fad in coffee everywhere it seems, smooth, slinky cold brew. The open lay-out allows you to watch the expert baristas at work, and the making of the daily brew (S$3) involves scales and thermometers to ensure the right ratio and water temperature. A sip confirms there is no need for flavoured syrups or whipped toppings, as the coffee is richly flavoured with no bitter aftertaste. 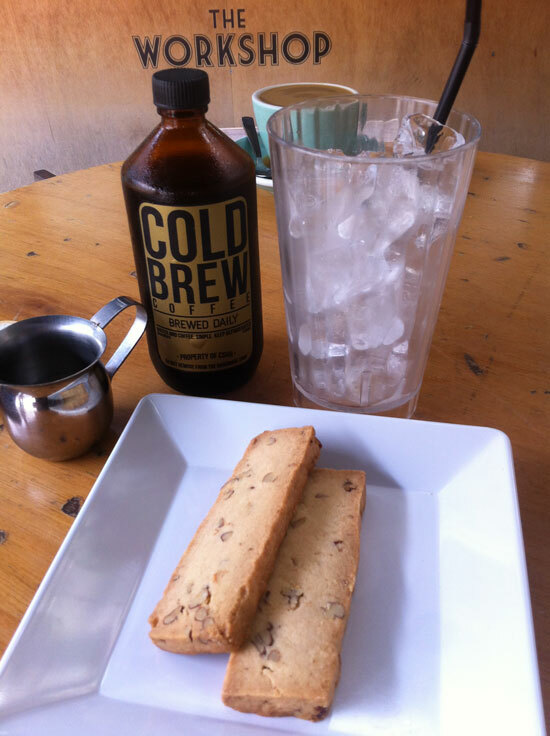 In particular, the cold brew is super easy to drink — try it and you may never go back to the hot version. Iced tea, hot chocolate and Asahi beer ($7 per bottle) is also available. Food offerings are limited but good. Breakfast/lunch selections include an Italian breakfast of foccacia with poached eggs, pork bolaignese sauce and parmesan ($12), honey ham, emmenthal cheese and tomatoes on brioche toast ($15), crab meat aglio olio ($16). 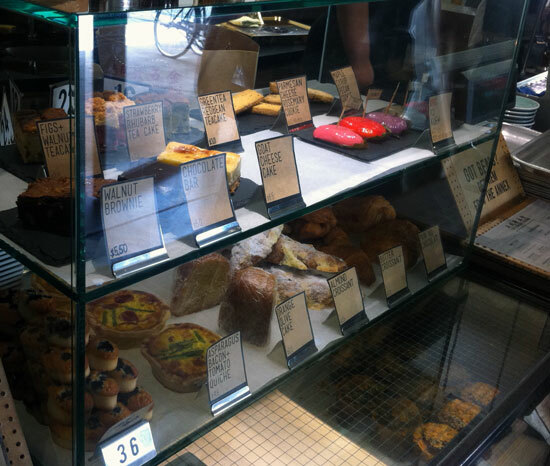 They also offer freshly-baked cakes, biscuits, pastries and quiches– we really liked the rosemary and parmesan cookies and at just $1 a pop it was easy to go back to try the maple syrup and pecan version as well. A taste of the coffee at Chye Seng Huat Hardware may make it impossible for you to go back to your usual brew; thankfully they sell bags of their in-house roasted coffee beans and coffee-making gadgets like drippers, grinders and espresso makers out the back at the attached Annex.